10 Apps To Enhance Your Design, Photography & Productivity! 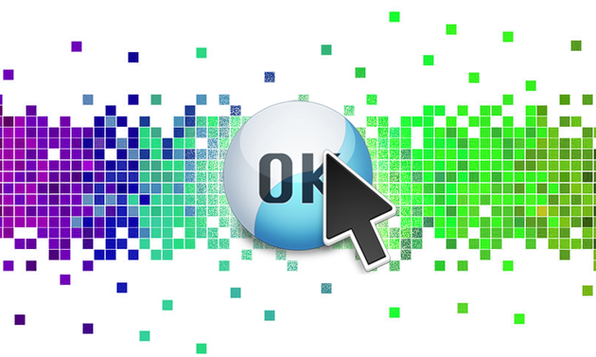 When you have to build a website, choose the web developer's tool that has been trusted by Mac users for over 10 years. WebDesign offers the best balance between website design and HTML authoring, offering over 20 pre-built website templates while still giving you the flexibility to edit your website's source code. Unlike other tools, WebDesign doesn't limit you in any way and gives you complete control over your website design and layout. It works flawlessly whether you need to edit an existing website or start a completely new site from scratch. You can choose one of the professionally designed templates or start from one of the available skeleton templates. Whether this is your first website, or you are an experienced coder, WebDesign has all the features you need including: live side by side previews, auto-completion of tags and attributes, 40 built-in HTML wizards, Site Manager and FTP client. Everything needed to create a unique, professional website is included in this fully featured web authoring package. When you need to add those final touches to your website, ButtonDesign is here to help. Creating professional looking buttons with mouse over and mouse down transitions is a great way to improve the UI of your site, and now its easier than ever. Choose from over 75 included templates, add your unique touch, then export your buttons as standard based Cascading Style Sheets and HTML. In just three easy steps you can create stunning buttons for your website, no HTML or technical skills needed. Create as many buttons as you need. Easily update styles and templates in the future as your design changes or you're ready for something new. Transform your ordinary photos into works of art with realistic effects like light rays, lens flares, and tinting to add a bit of romance, depth, and mood. Show off your artistic flare without having to be a photography pro. Don't have hours on end to try and catch your subject at the perfect angle or the perfect time of day to create that ideal shot? Use Shine's built-in features and have complete control over how your photos will look. We love our Macs, and Shine is made for Mac. With intuitive, simple controls that make photo editing fun and easy, and optimized for Retina Displays, your images are presented in the richest color and detail possible. If you tend to go overboard with editing, the built-in comparison tool will show you the edited image side-by-side with the original so you can keep your artistic abilities in check. 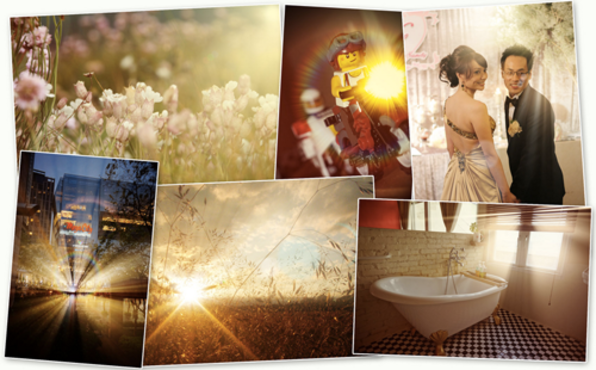 Plus, with built-in sharing tools, you can upload your beautiful images to Facebook, Twitter, Flickr, and mail accounts. Quick Resizer does exactly what it says, we literally couldn't say it any better ourselves. If you need an idiot-proof image resizer, look no further. 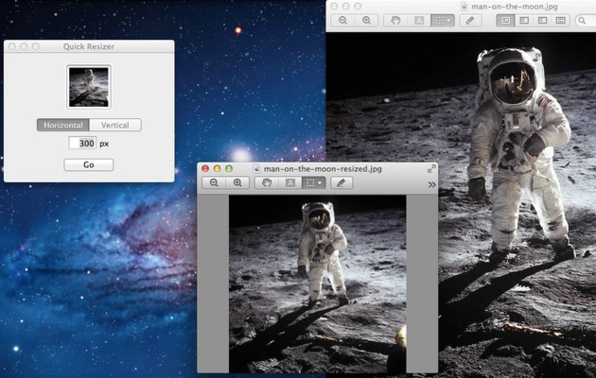 Just drag and drop your images into the app, set the size constraints, and click "Go". Wow, it really is that simple. Supports PNG and JPEG files, and resized images are optimized for web publishing, perfect for adding images to your blog or website. Sometimes you don't need the complexity of Photoshop, you just need to churn out resized images like hotcakes, that's when we use Quick Resizer. You just select a pixel value and an axis to scale and it does the rest. As the world continues to go paperless, being able to seamlessly sign your name on digital documents will save you a lot of time in the long run. However some built-in signature capture widgets are impossible to use without your John Hancock looking like it was written by a toddler. 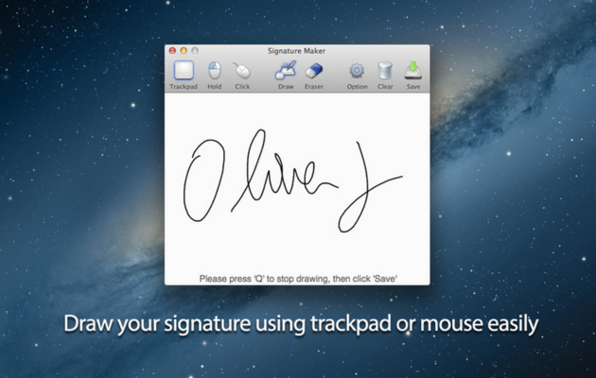 Signature Maker lets you use a finger or stylus to sign your name on your computer's trackpad, or your mouse. Then it saves as a transparent PNG file so you can quickly copy and paste into any PDF, or web form. Don't bother with printing, scanning or faxing, just insert your signature image and spend your time on something more productive. This is a quick, easy way to create a permanent digital signature to quickly paste, keeping your signature consistent with across all documents. How many times have you been working on a project and wished you could convert the PDF you were reading to an editable format? If you said more than once, then it's worth your while to download this app. With the PDF Converter Master, you have everything you need to convert those static PDFs to Word, PowerPoint, Image, and Text files. 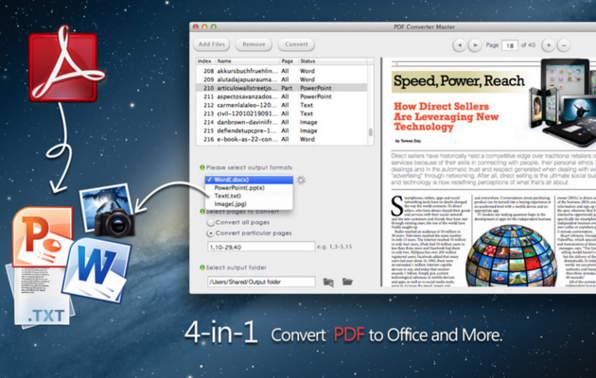 A clear interface simplifies the process and allows you to easily convert unlimited PDFs. Besides this app being FREE, the best feature is that no matter what you convert, the PDF Converter Master will preserve original text content, layouts, formatting, and graphics as accurate as possible. Yes, you read that right. What started as a front page feature in the iOS App Store is now a fully-fledged Mac app. SketchMee: the most advanced automatic pencil sketch generator in the world. Utilizing the increased processing power of the Mac, SketchMee's algorithms create incredibly detailed "sketches" from any photo. Using thousands of mathematically-defined pencil strokes, the app creates an incredibly detailed sketch filter. And you can save any edited image as a beautiful, full resolution, 16 megapixel JPEG - regardless of original image size. And strokes appear perfectly crisp at any zoom level. From the makers of SketchMee comes PaintMee, software that transforms images into works of art using thousands of individual "paint strokes". 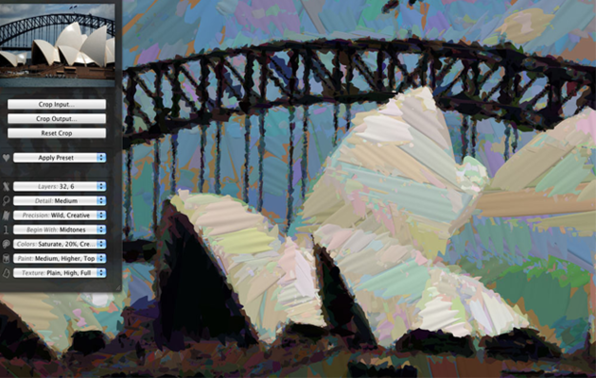 Part of the next generation of art generating software, PaintMee analyzes source photos and builds the end results from scratch, not reusing any pixel data from the source. What you get is a complete 3D model made up of thousands of well defined paint strokes. Because it uses no source pixel data to construct the painting, you can save any edited image as a beautiful, full resolution, 16 megapixel JPEG - regardless of original image size. And strokes appear perfectly crisp at any zoom level. Even though images can render in seconds, the app gives you the option to slow down the painting speed. We loved to allow the image to render over time because it actually is a surprisingly relaxing experience. Looking to add some excitement to your photos or just love to experiment with different effects? Photo Dazzle is packed with tons of filters and color adjustment options to give your images an artistic edge. We're not the best photographers in the world, so we rely heavily on after-effects to make our images pop. Photo Dazzle is a great set of adjustment tools that anyone can use and bring their photo game to the next level. Add 3D perspective, reflection, blur, and a variety of color adjustments and filters to any image. 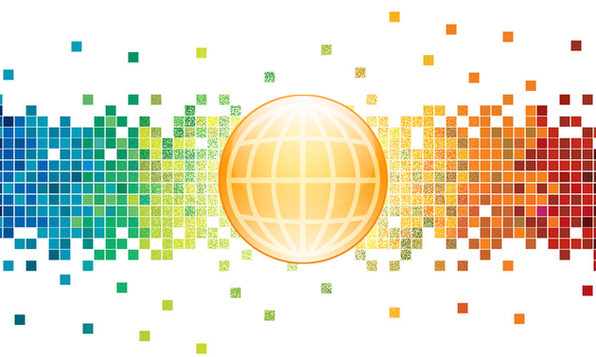 If you're developing your own app, you're going to need a great icon. 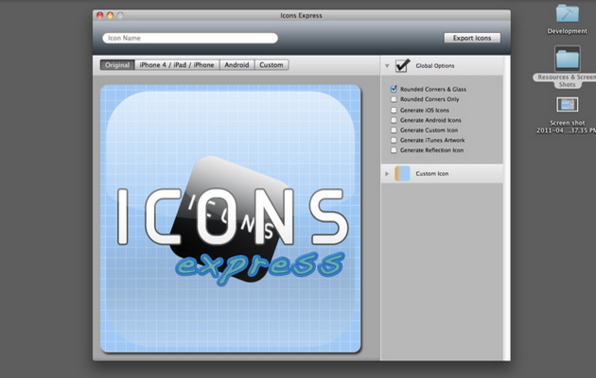 With Icons Express you can create your own icons for any app or custom use. Everything you need to generate and preview icons for iOS, Android, or desktop. This is a stripped down version, perfect for those who are just looking to create basic icons without the extra fluff. Simple to use with drag and drop functionality, the app instantly previews your image in every available icon size so you can see how it'll look across all devices.